When we first bought our house, the previous owner had constructed a huge compost pile in the middle of the yard. So, we began composting right away. Since then, we have relocated the compost pile from the middle of the yard to a slightly more concealed corner. 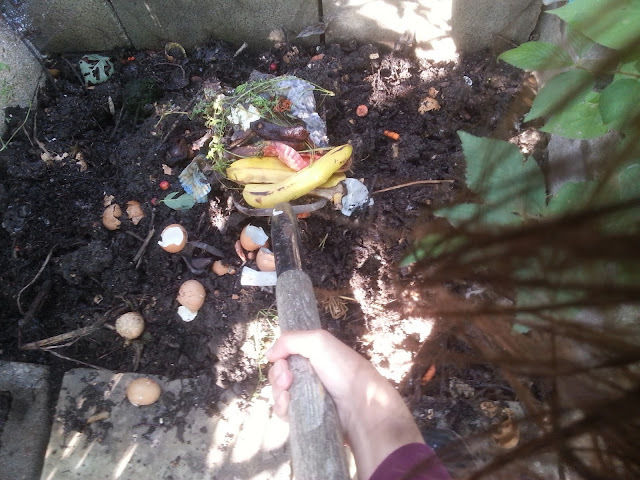 Composting is amazing. It is so neat to watch scraps turn into something extremely useful. Now that I have been composting for a number of years, I would like to show you how easy it is, so you can start your own compost pile! Composting is a great way to amend the soil in your garden and give your veggies, annual flowers, and perennial plants a nutritional boost! It's basically fertilizer, but for free! It's also a great way to prevent food scraps, yard waste, and other compostable refuse from going to the landfill. In the past, I have tried 2 types of composting. Closed container composting and open composting. Of the 2, I found that an open compost worked better for me as it's very simple and it's always open and ready to be turned or added to. So today, I will teach you how to start your own open compost pile. And yes, in case you're wondering, you can use your compost pile all year round. I live in Canada, where the ground is frozen solid and covered in snow for half of the year, but that doesn't stop me! I still add to my compost pile religiously all throughout the winter. The new additions just stay in a frozen limbo until winter is over. And that's fine by me. So, the first thing you will want to do is decide on your location. If you live in the city, I think it would be a good idea to place your compost pile as far from your house as possible. A corner along the backyard fence works well. 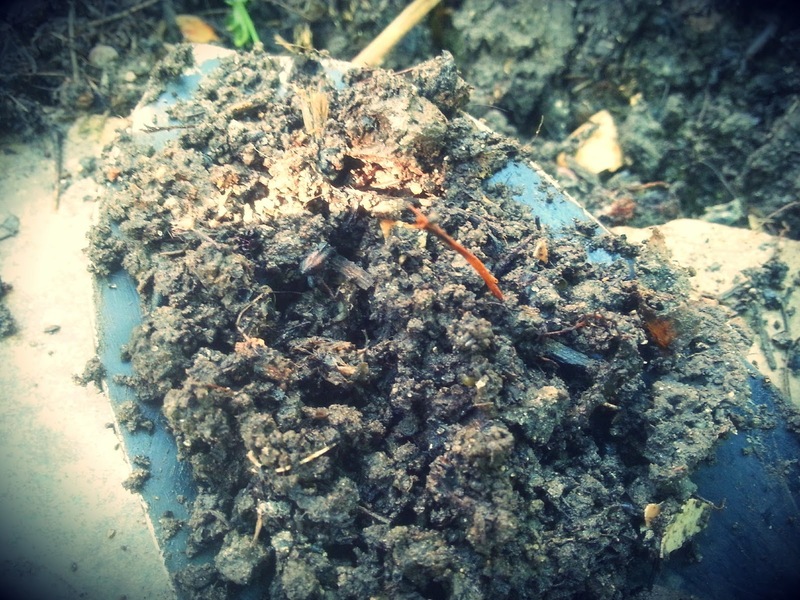 Compost piles can be smelly sometimes and they may attract flies and possibly even vermin. So, the farther away from your house the better. Now, I hope I haven't scared you away from composting with that vermin remark. If you religiously turn your compost pile, it is unlikely that you will have vermin infiltrate it. Next, you will need to build a structure to house your compost pile. You can use a few layers of bricks to build a bottomless rectangle or nail together 4 pieces of plywood into a bottomless box. Or you can even go rogue and start a pile without any sort of structural support. Personally, though, I wanted my pile to stay contained. 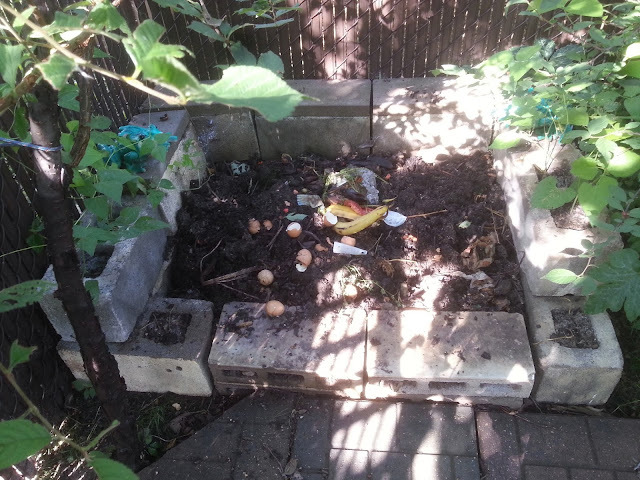 I used 2 layers of cinder blocks to build my modest 3 foot x 2 foot compost pile. Make sure to choose an area where there is no cement or gravel. The compost needs to be in contact with the soil in order for worms to get to it. My little compost pile. I have cherry trees on both sides, which conceal it slightly, and scarlet runner beans planted in the open cinder blocks. Now that you have created your structure, you will also need a container inside of your house to place your kitchen scraps in for composting. I use an old dishwasher detergent pail lined with a grocery bag. I keep it under my kitchen sink beside my recycling bin. I keep the container open and exposed to the air, as I found that when I put a lid on it, the contents turned mouldy very fast. I take my kitchen compost bin out to my compost pile and dump the contents about 3 times per week. I discard the grocery bag and replace it with a new one every time I dump it. 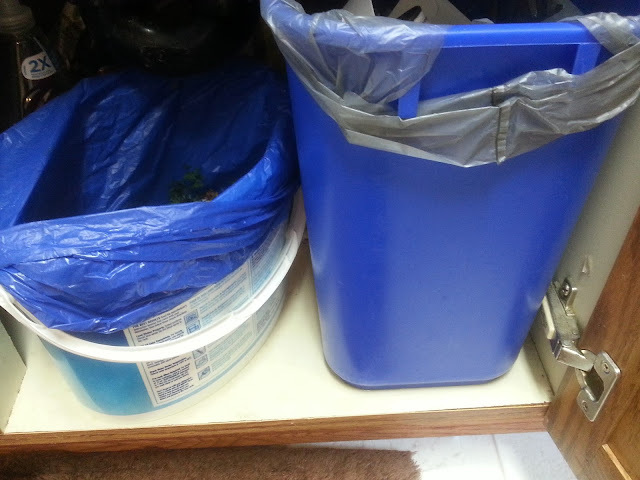 Compost bin on the left, recycling bin on the right. Now, what should you put in your compost pile? I will list off the most common things that I put into my compost pile. I'm sure there are a lot more things that can be composted. That's just a list of the things that we compost at our house. I would not recommend composting grease, fats, or meat. These items may encourage vermin. I also wouldn't recommend composting bones, shells, and sticks as these items take an extremely long time to break down. I try to keep my compost moist but not wet. If your compost feels too wet, add more items from the brown category. If your compost feels too dry, add more items from the green category. Don't fuss over it too much, though. 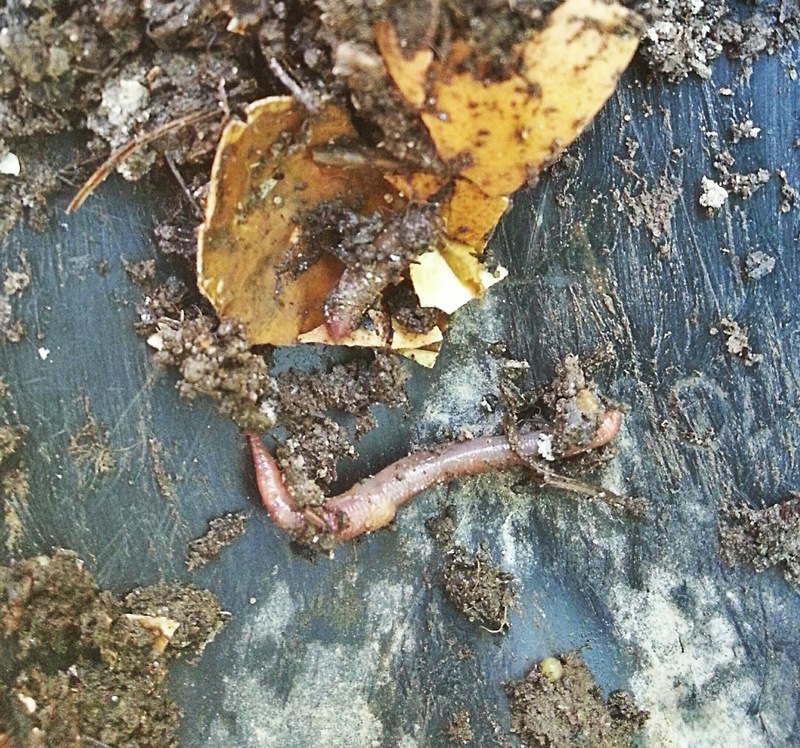 The red wiggler worms that find their way to your compost do a very good job turning all of those scraps into rich, fertile compost, or black gold as I like to call it. 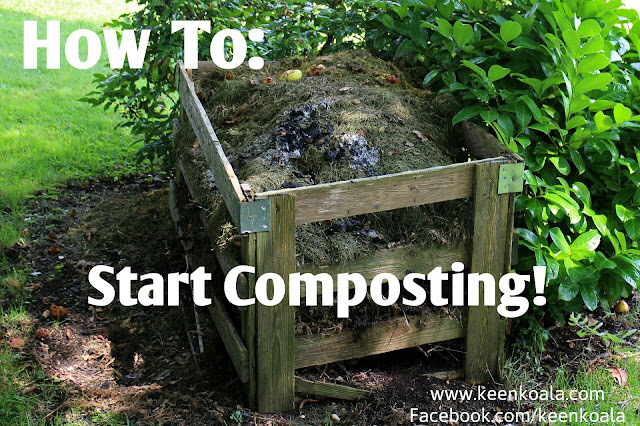 Once you have some stuff in your composter, you will have to start turning it. I turn my compost once a week. The best tool for this job is a pitch fork. It works much better than a shovel, so it's worth investing in one. 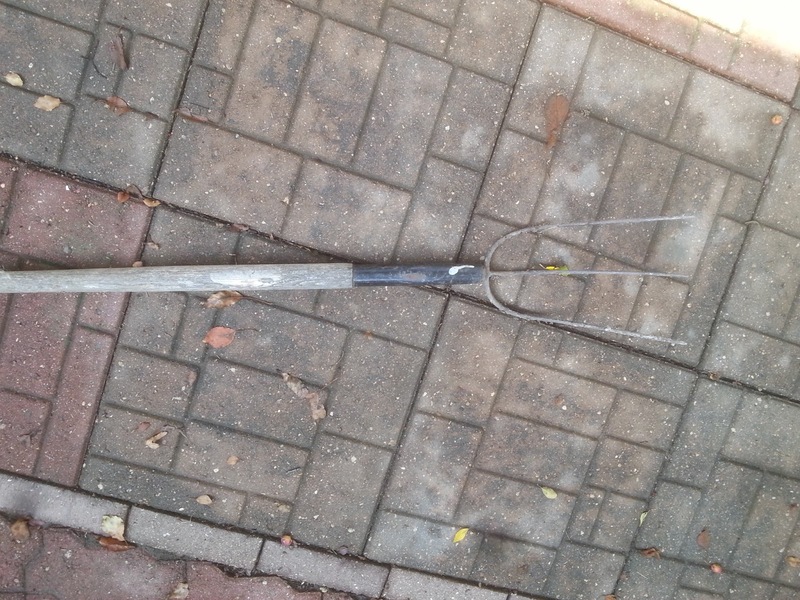 I begin turning the compost on one side, by taking a big pitchfork full of compost and turning it over in its place. I continue until all of the contents have been flipped over. When turning, you will likely see a lot of red wiggler worms. These worms are the powerhouse of your compost pile and are responsible for turning all of your scraps into compost, so be thankful and treat them kindly! After some time has passed, typically a few weeks, you will see that your scraps have transformed into rich, black compost. I hope you enjoyed this post and that it motivates you to get outside and start composting! Thanks for reading and don't forget to like Keen Koala on Facebook for instant access to the most up to date content and exclusive contests. Click HERE.